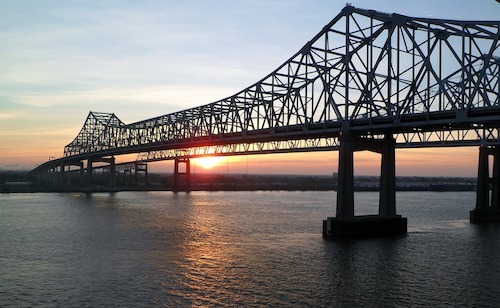 A large reservoir of industrial wastewater is threatening to burst near the Mississippi River, between Baton Rouge and New Orleans. According to New Orleans Public Radio, it is an acidic byproduct of industrial fertilizer company Mosaic Fertilizer. The company’s wastewater disposal practices have been under scrutiny over the years. According to New Orleans Public Radio, the walls of the reservoir are about 200 ft tall and about 700 million gal of acidic water is in the reservoir. It is not clear at this point when a rupture could occur, based on what the company and the federal and state authorities are saying. Mosaic Fertilizer said there has been no release of process water yet. The biggest worry is that a spill would get into some of the waterways to the north, according to New Orleans Public Radio. The Blind River connects with the Amite River Diversion and Lake Maurepas and it flows through the wetlands in between that area. The water contains small amounts of phosphoric acid and phosphorus. According to the public radio, there is also a radium content. The content is about three times as high as the drinking water standard. Mosaic Fertilizer says the primary concern is the acidity of the water. The company says the liken it to the levels of lemon juice or vinegar. According to the public radio, that much acidic water could be deadly to a lot of the wetland vegetation and could also be deadly to fish in those waterways. Those drinking contaminated water or eating contaminated wildlife could be affected as well. The company is currently taking step to fix the problem. According to the public radio, they have one pump that is removing about 10 million gal of water a day and they would like to double that. The primary strategy is to remove some of the processed wastewater into other ponds on the plant site.